Two weekends ago, I participated in a rider position clinic that the trainer was hosting. It was a casual atmosphere with a small group of avid learners, and started out with a lecture on what good rider position looked like, before doing a short yoga class, and onto rider demos. Much of what we discussed was the proper alignment of the body, from head to toe. The visual that was used over and over was of the pelvis as a bucket, and that in a correct position, the bucket is neither tipped forward or backward. Because of my own conformation, I tip my bucket forward and have a very hard time getting the darn thing to sit straight. But more on that later. Our yoga class was fairly challenging, and the teacher emphasized places that equestrians (and in particular, women equestrians) could improve. It’s been years since I last did a yoga class, and definitely found myself much shakier than I was back then. Having a strong core was absolutely essential for most of the yoga poses, and as it turns out, was pretty darn necessary once I got on Jack. The lesson started with just getting Jack to calm down- he doesn’t tend to have the best downward transitions on the lunge line (a work in progress), and took several minutes of showing off his fancy prancing before I hopped on. 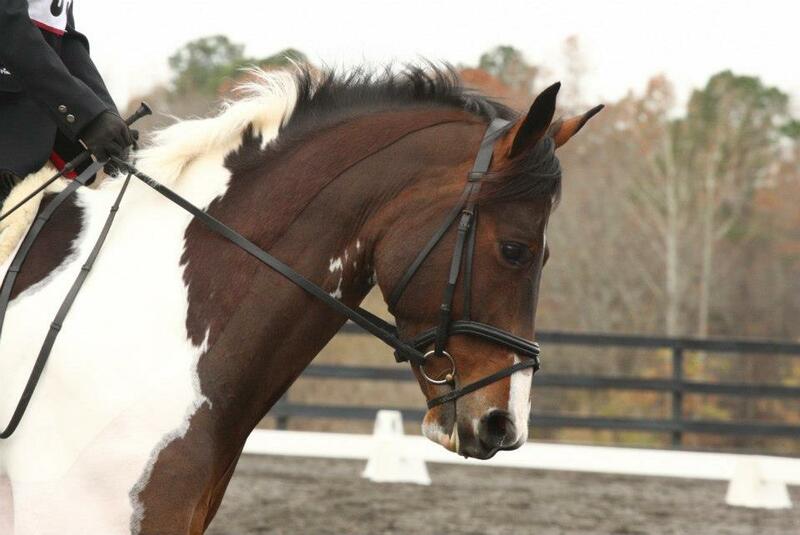 After just a minute or so my stirrups were taken away, my reins tied to the bucking strap, and away we went. Much of what was discussed I was aware of- my issues getting the long flat part of my thighs on the horse and my lower hollow back. The first the instructor worked to resolve with what she called ‘frog kicks’. These entailed taking my whole leg off the saddle, kicking outwards and back with each leg, then putting it on the horse and allowing my leg to be dragged along the saddle until it was underneath me again. I can’t tell you how many of these frog kicks we did during my ride- but my outer thighs in particular were fairly upset with me as a result. Yup, pretty much like that. For the lower back issues, we tried all sorts of things. What you see in the video is mostly related to that. In order to get me to engage my core, she asked me to put my arm out in various positions. Her challenge to me was to not allow any bend in my arm, and not to let my arm bounce. She also used a mental image that my trainer often uses, which is windmilling the arms slowing backwards, thinking about scooping water forward at the bottom. As you imagine the ‘scooping’, you also allow your pelvis to scoop forward, which in turn engages the lower core muscles and helps fill the void in my lower back. One thing that was also called out in the lesson, though we didn’t focus on it much, was how I tend to tilt my head without realizing it. This (but more often paired with my shoulders) has also haunted my jumping lessons of late, and was helpful to hear within the rider position context where I could really focus on my overall alignment. Overall, this was a great way to get off property and focus on me for a change, instead of Jack. Although I will say that one of my biggest take-aways from the day is just a feeling a pride for Jack’s behavior and how well he handled what can be a spooky place. Despite my not being able to walk in a normal fashion for a few days, I would absolutely do one of these again, and hope that lunge lessons can be incorporated into our routine more often. How exciting!! And Yoga is deceivingly difficult… looks so easy when you see it on tv or in pictures but when you try it you realize your body doesn’t automatically flex that way 😉 Glad you had a positive clinic!!! This sounds fantastic, I absolutely love the idea of it!! I have never seen anything like this around here. I would totally do a clinic like that (I too tilt my head and my whole body UGH) Sounds like it was great fun! (and i bet you were sore)!! Good boy Jack too!! You guys have some great clinics where you are!! Love a lunge lesson! Don’t love the pain afters. I LOVE that bucket visual! So cool. I’ve been doing tons of yoga for my hips lately and definitely notice a difference in the saddle. This clinic sounds pretty on point for what I’ve been working on. How cool to know things like this exist! I love the bucket too…I am also a forward tipper. woof. I have been meaning to get back to yoga. It is so great for riders. So good to go back to the basics like that! 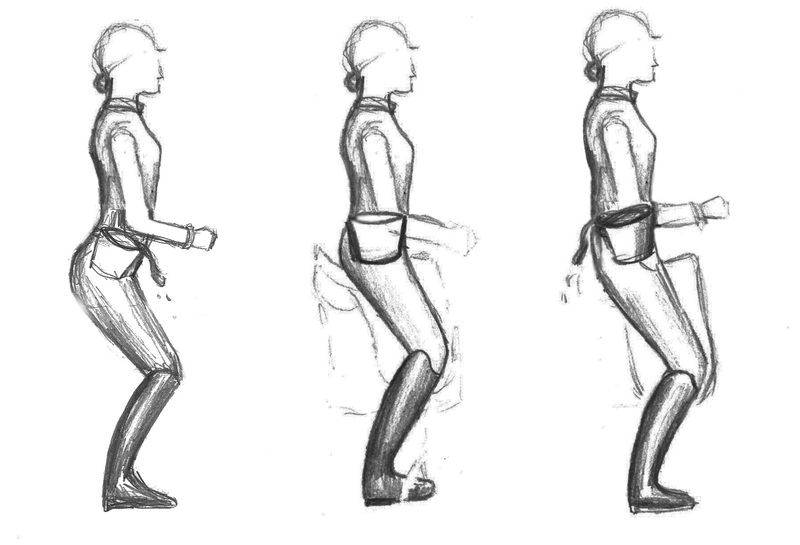 The frog kicks are so good for opening up your hip and getting your leg placed correctly.